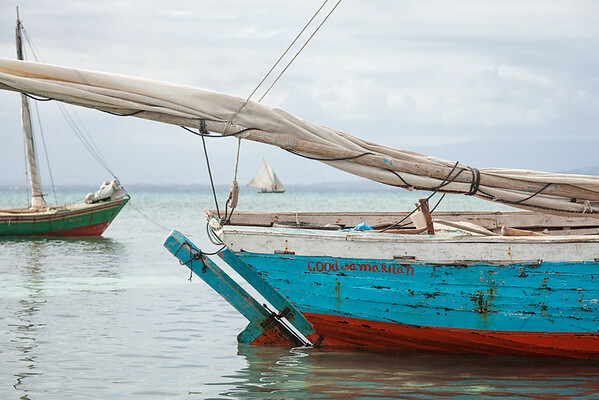 Many old sails have been donated to the fishermen on Ile A Vache, Haiti. 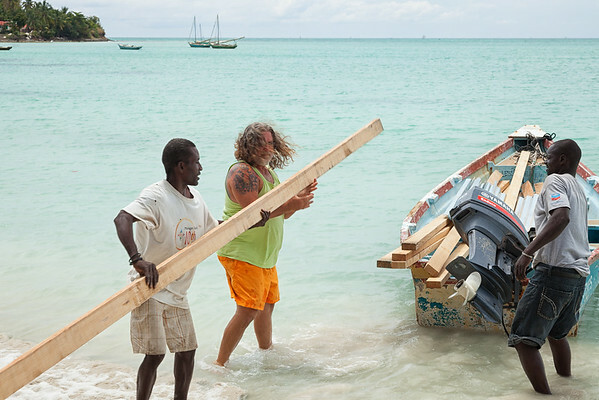 Locals are offloading them from the big boat to their small boat to take ashore. 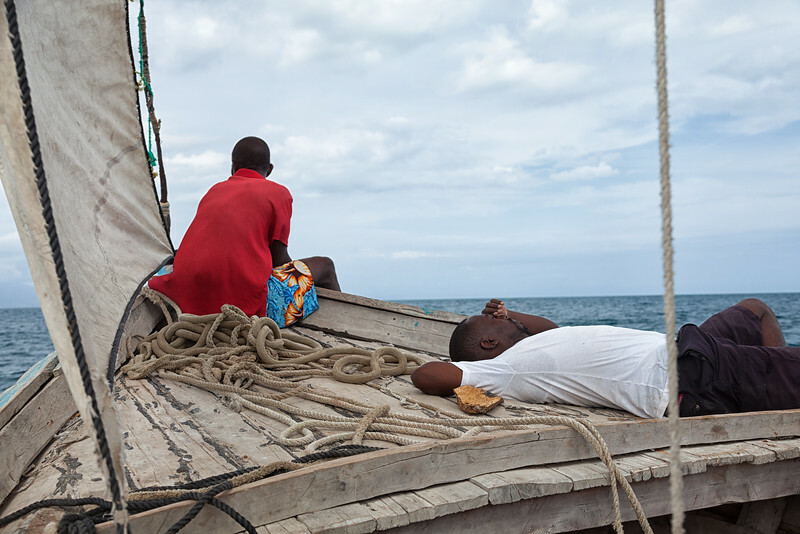 Boys cling to the boat bringing supplies ashore from the larger sailboat that brought them there. 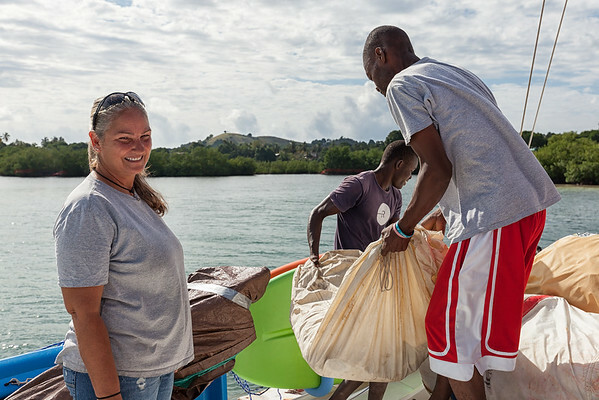 Offloading donated supplies onto the beach, where they will be carried up the hill and distributed to the locals. The local children getting to play on something they've never seen before. 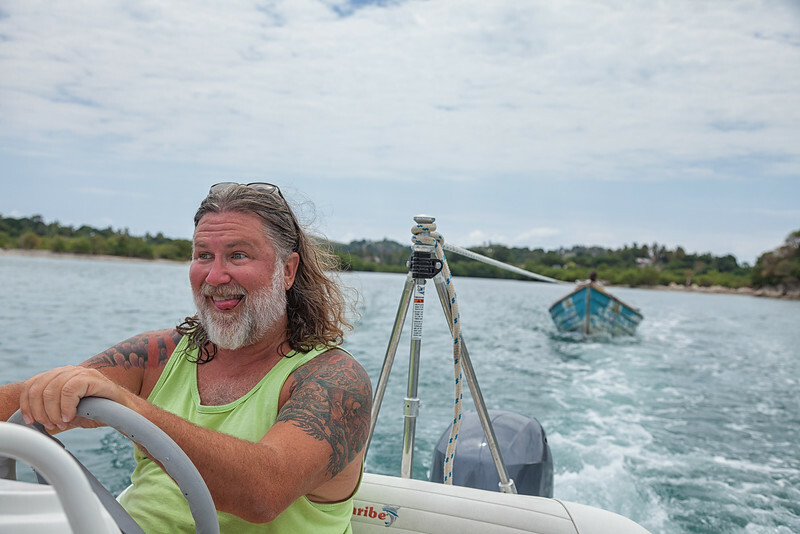 Wayne goofing off as we tow Silnor with supplies to the other side of the island. 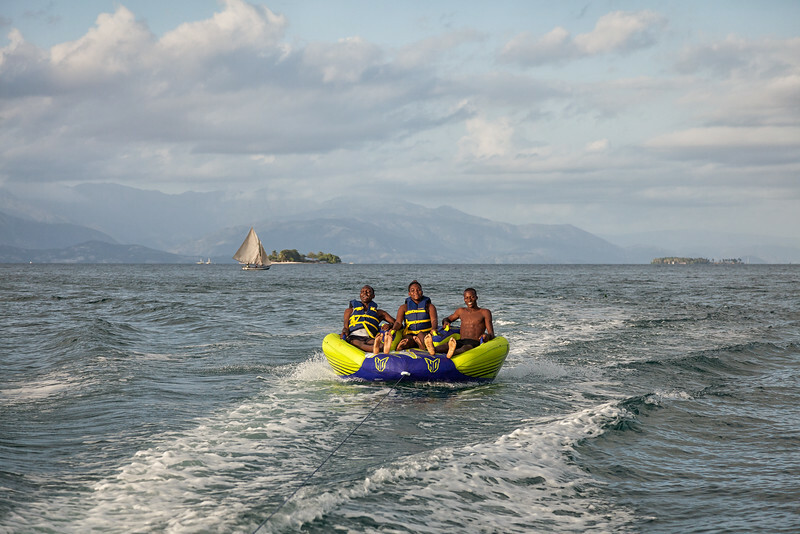 Relaxing during the sail from Tou Milieu to Pierra La Lanterne. 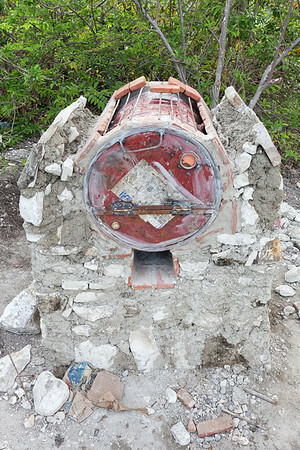 The demonstration oven nearing completion. "Fufei" anchored at Pierre La Lanterne. 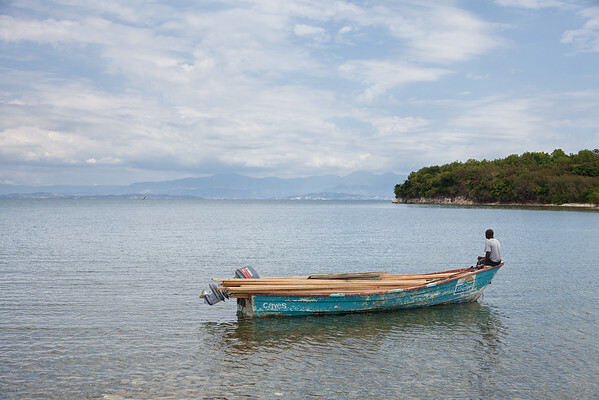 This boat belongs to the Good Samaritan Foundation of Haiti. "Good Samaritan" is painted on the stern. Silnor sitting on the bow of one of the supply boats, waiting for a tow. 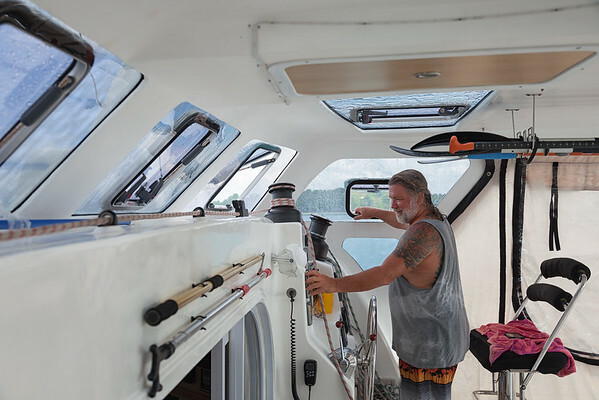 The outboard is for decoration only. 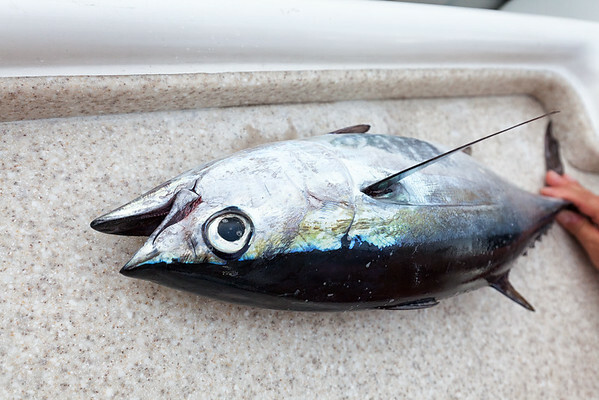 Our only legitimate catch during our westbound sail, a small blackfin tuna. 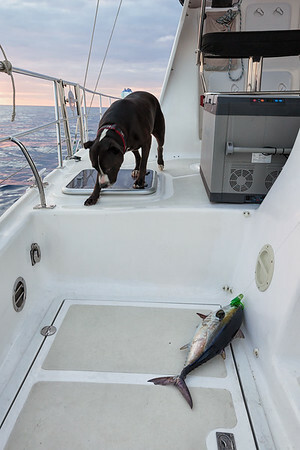 Crewman George not quite sure what to think of the tuna we just caught. 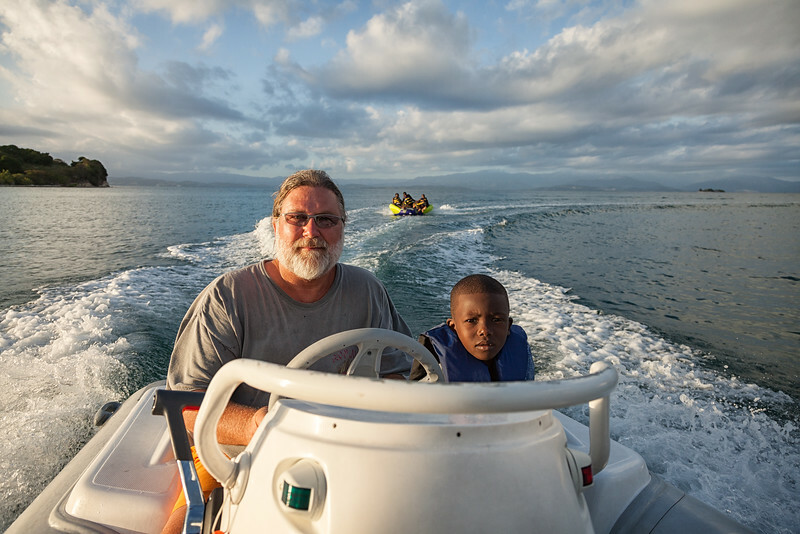 Captain Wayne navigating back to Tou Milieu after offloading supplies in La Hatte. 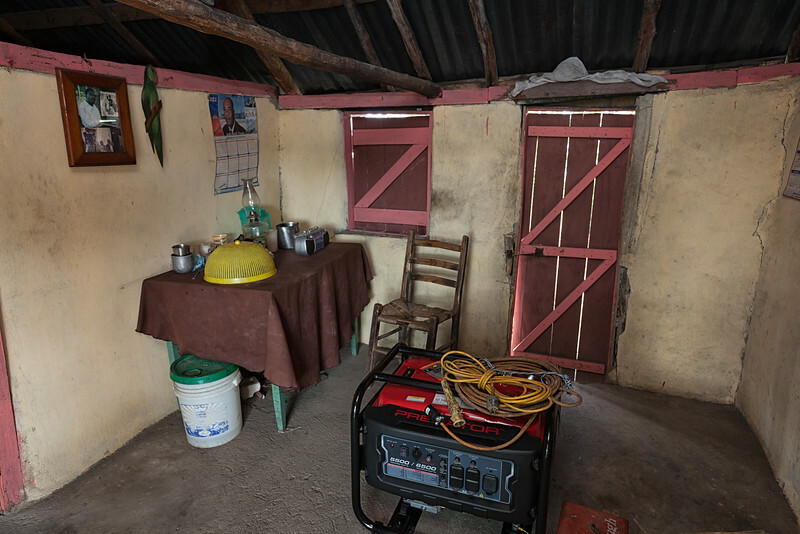 Old meets new: a donated generator sitting inside of Charite's house in La Hatte. 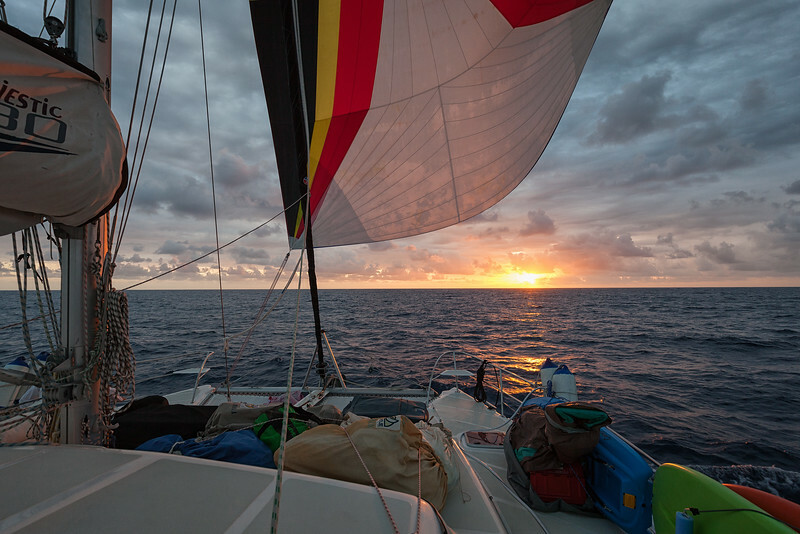 Sunset during our westbound crossing of the Mona Passage. 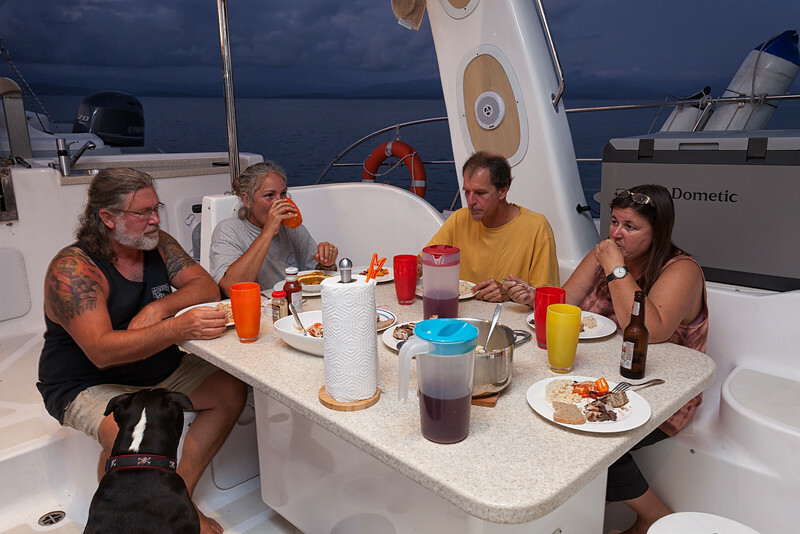 The crew eating grilled tuna that was caught on the sail over. 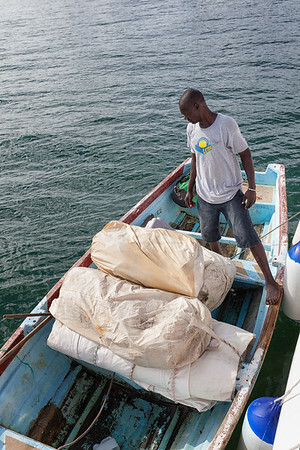 Offloading old sails that have been donated to the fishermen on Ile A Vache, Haiti. 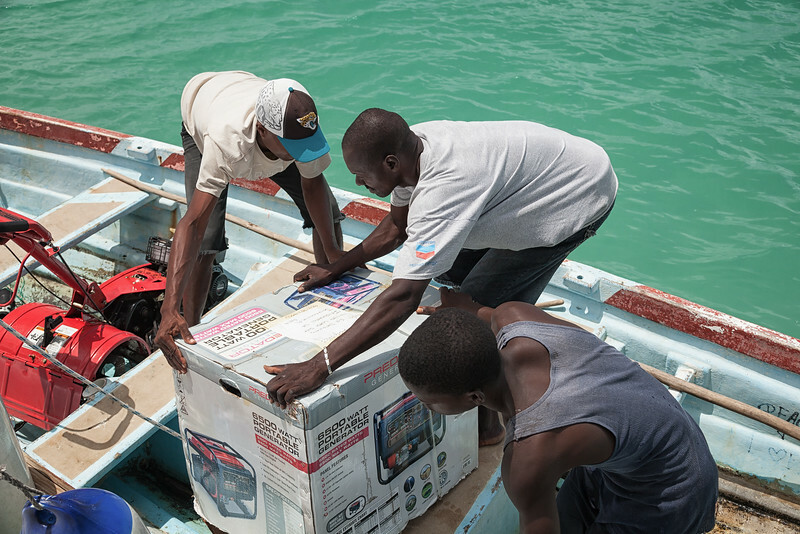 Setting a donated generator in the boat to be taken ashore in La Hatte, Ile A Vache, Haiti. 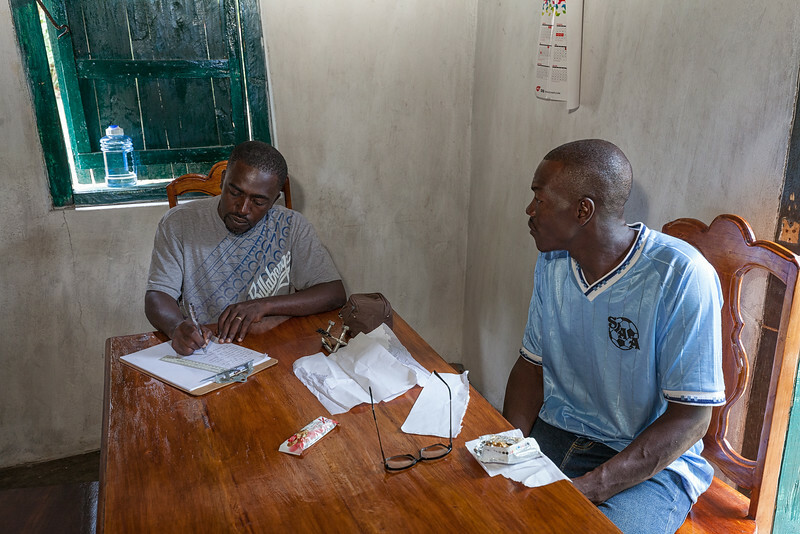 Phelix and Bienamié make a list of things to discuss with the commissioner during their visit with him on Thursday, regarding the school. 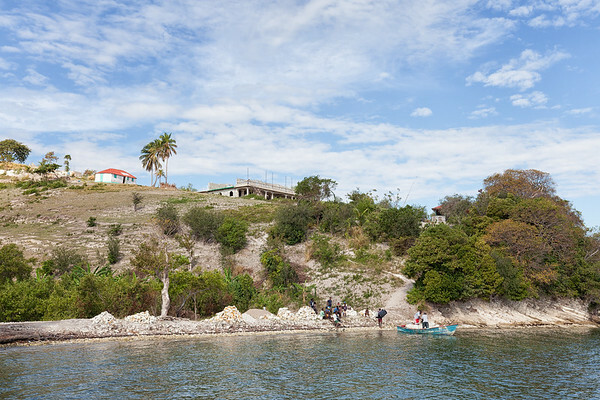 Unloading supplies from one of the boats after towing it to the other side of the island. 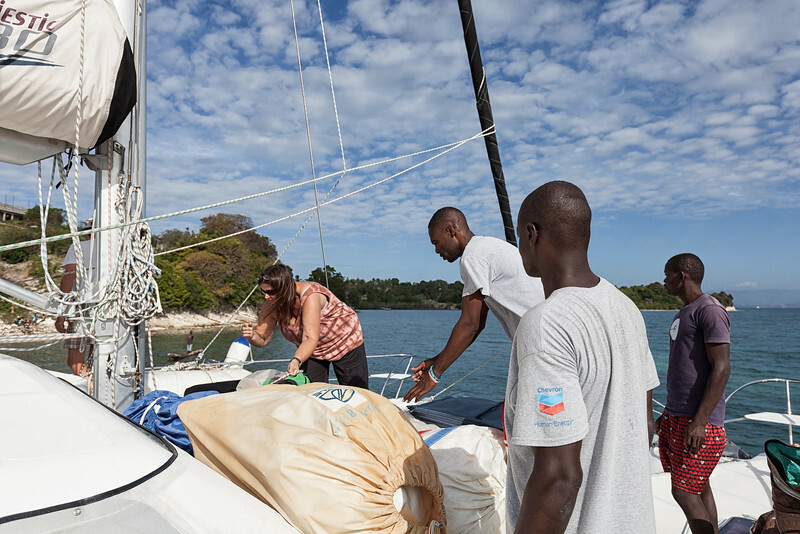 Silnor inspecting the old sails that have been offloaded into his boat before taking them to shore to hand out to fishermen. 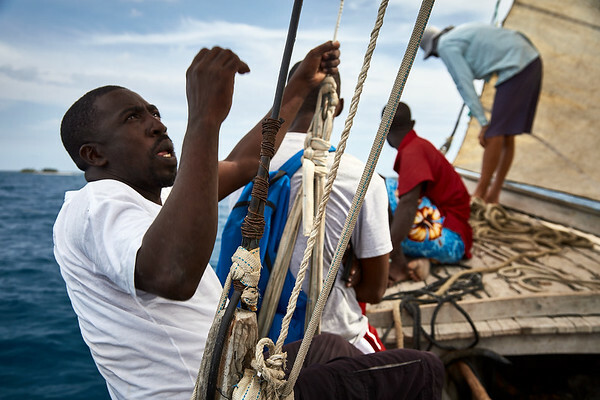 Phelix grabbing on to the standing rigging of "Fufei", which is made up of webbing and rusty stranded steel. 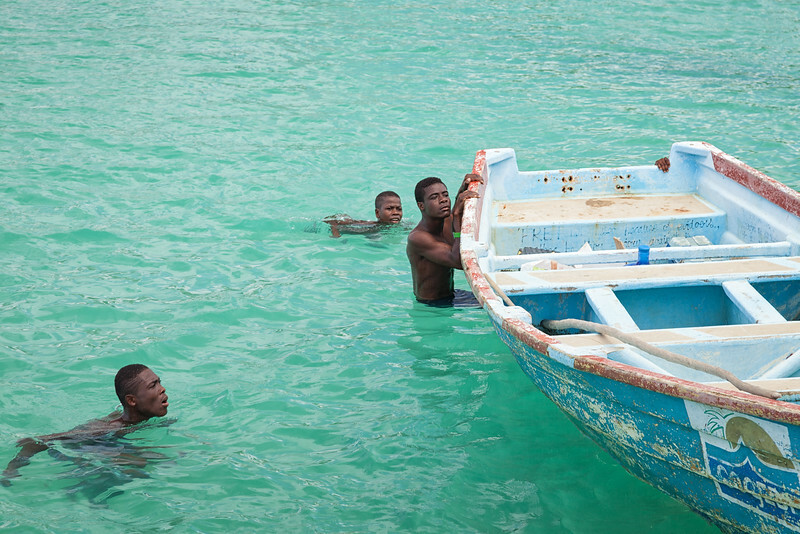 Boys swim out to inspect what we're doing as we're offloading supplies into a smaller boat to be taken ashore. 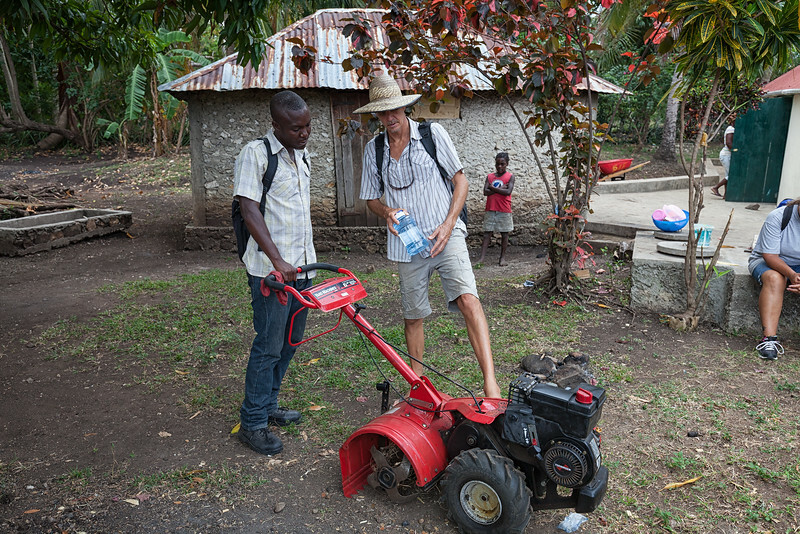 Anous and Jan talk about the roto-tiller at Anous' house in La Hatte.